Whether you’re a seasoned fishing enthusiast or just starting out and looking to put together your first set of gear, there is a bewildering array of equipment available. From lures, reels, rods, line, clothing and various accessories there’s a welter of choice at all price points. Fancy going high tech with your fishing? If so, an underwater camera that sends images to your tablet or smartphone might be of interest! While experienced fishing experts will know what type of equipment to buy based on their preferred ways of fishing, beginners can become bewildered and – if not careful – can end up with a cupboard full of rods for all eventualities; many of which hardly get used. 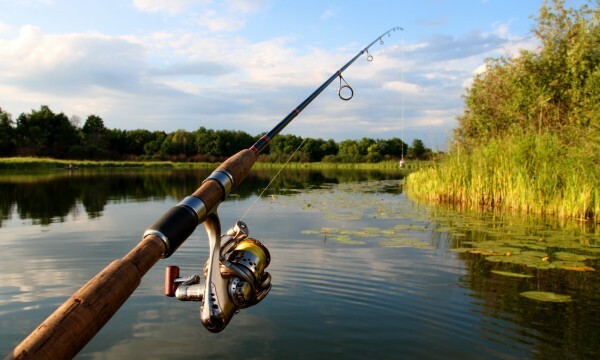 If starting out, think what type of fishing you’ll likely be doing and be aware that often one rod will suffice for several types of fishing. If you become a particular fan of one type of fishing – fly for example – then by all means focus your future buying on that type. Finding a fishing equipment retailer who can offer help and competitively priced equipment is a must whether you’re experienced or a novice. Some provide an efficient online presence so you can quickly and efficiently order new supplies such as bait and line, and combine it with a shop-style premises so you can take a look at equipment before buying – and get sound advice. You might like one that is more portable – perhaps you envisage or actually do go fishing a lot on holidays and short breaks. If so, an easily collapsible or telescopic rod would be a good idea. Look for established names such as Daiwa, Abu Garcia and Shakespeare. Again, established brands offer a safe bet for newcomers and the trends are for lighter weight and smoother actions using more bearings. All manner of accessories are available, and what you buy will clearly depend on how committed you are to your fishing. For example, small tent-like shelters for days when you’re going to fish come what may weather-wise and for overnight fishing sessions are available, some of which have a removable front so they can convert from a full shelter to a partial one. Experienced fishing enthusiasts will know the value of suitable clothing – specialist clothing for fishing trips is available from waterproof attire, footwear and accessories such as sunglasses and hats. Devices to alert you when you have a bite are available and – for the more committed and those prepared to spend a bit more on their hobby – underwater cameras that can display footage on tablets and smartphones. Set a sensible budget and decide on the type of fishing you’ll do; it’ll make it far easier to pick a suitable rod and other equipment. Don’t fall for the marketing hype; for example, know that a decent rod at a modest budget can provide you with years of enjoyment. Don’t run before you can walk – ask yourself if you really need that £250 underwater camera when you’re just putting together your first set of gear on a strict budget. If you have longer fishing sessions covering many hours in all weathers and overnight or participate in match fishing, the shelters and specialist clothing above will be of interest. Taking it a step further, portable cooking facilities in the form of small barbecue units could be considered along with durable sleeping bags and ‘bedchairs’ – as their name suggest they can be a chair that converts to become a bed. Lighting in the form of head torches are available along with all manner of heavy duty umbrellas. With all this gear you may need a way of transporting it to the river bank – compact barrows are available for the job. Fishing may be one of the most equipment-heavy hobbies. The key is to buy based on your requirements now; you can always invest more if you need to and as your interest in fishing grows. The help of a seasoned fishing retailer cannot be over-emphasised, and they’ll be happy to help and make sure you’re satisfied as you’re likely to be investing in consumables and new equipment for many years to come. Similarly, dealing with a specialist you can trust is worth its weight in gold.